Commercial TPO roofs for low-slope or flat roofs for your commercial or industrial building offer and affordable, cost effective roof system. 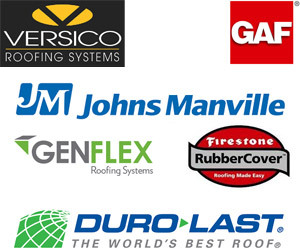 Commercial TPO Roof systems offered by Firestone and GAF provide several different layering. One of the factors that makes TPO roofing attractive both in residential and commercial construction is its reasonable cost. TPO offers many of the same benefits as PVC roofing, such as hot-air weldable seams and energy efficiency, but at a lower cost. TPO is becoming a great option for businesses and homeowners due to its energy-efficient properties and highly reflective white, light grey and black reflective color options. Latest technologies enable all colors of TPO roofing membranes to be UV resistant and “cool”. Commercial TPO roofs are mold resistant, pool and debris pooling, and highly tear and puncture resistant. The flexibility of the commercial TPO roof membrane allows for a building’s movement or settling. The reinforced commercial TPO membranes allow for the thermal expanding and contraction of your commercial tpo roof more effectively than other single ply or composite roofing materials. Commercial TPO roofs are designed with wide and lightweight sheets making it easier to install and less seams to allow leaking or the roof structure to be compromised. The wide and lightweight sheets reduce the work and time required to install, which saves you coast associated with the installation. Building a new commercial, industrial or residential property? Give us a call at 832-671-1357 or fill out the form below and one of our commercial TPO roofing specialist will contact you immediately. 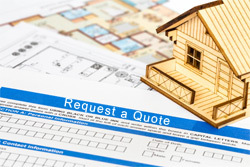 Why Choose a TPO Roof?